UC Merced hosted its first Student Leadership Institute for Climate Resilience earlier this month, teaching students how to become leaders in sustainability. UC Merced students got a crash course in how to lead the world in moving toward sustainability last week as part of the Student Leadership Institute for Climate Resilience (SLICR). The three-day residential program introduced students to the campus’s carbon neutrality, sustainability, food action and environmental justice communities through activities and tours and discussed strategies about how the students can take actions to help the world achieve a regenerative economy — one that is maintainable and does not exploit workers. Attendees were instructed on ways scholarship and practice at the UC level address issues of climate and ecological crisis, social equity and regenerative economy. The interactive training engaged students to gain the knowledge necessary to promote change at the university, enhancing UC Merced’s already established climate of sustainability and teaching them ways to carry sustainability forward into the rest of the world. The students participated in exercises promoting resiliency, social equity awareness, and an understanding of the effects food systems have on health, social and environmental problems. Attendees toured UC Merced’s recycling sorting line, campus garden and buildings that have been labeled as highly sustainable. 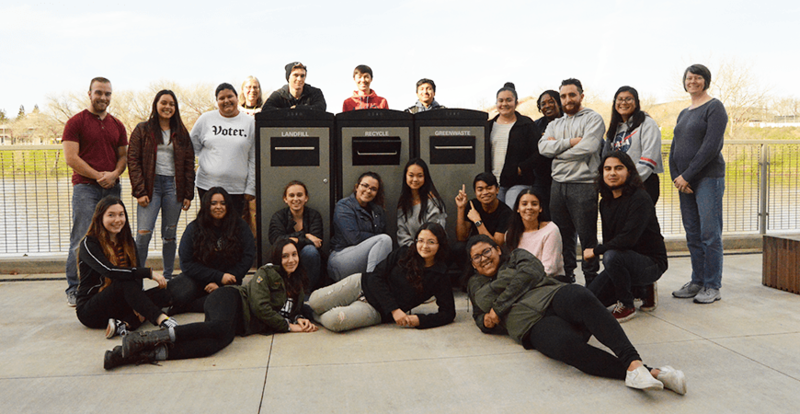 The program also included a sustainability scavenger hunt that encouraged students to work together to find items that represent sustainability on UC Merced’s campus. “SLICR has encouraged me to take a more active role in the community as well as in my life,” sophomore anthropology major Blanca Betancourt said. This was the pilot SLICR program for the university, implemented through a partnership between the School of Engineering, Sustainability and the Office of Student Life. SLICR was developed at UC Irvine and staff and faculty from several UC and CSU campuses attended a training session learn to lead their campus’s program.